How to Get Better fuel Mlleage from Your Duramax, PowerStroke or Dodge Cummins Diesel. Here is how you can increase your diesel truck's mileage, weather you're towing heavy trailers, or just running around town. Modern diesel pickups are amazing vehicles, here's how you can help them get better fuel mileage too. As an added bonus, in most cases the increased mileage is coupled with improved driveability and more horsepower and torque. That's a true win-win situation, and here's how you can take advantage of it in your truck. There are many things that determine what kind of fuel mileage your diesel powered truck will get, but one of the most influential and easiest to control is how you drive. As an added bonus, it is also the cheapest and easiest to fix. 2) They have modern electronically controlled fuel delivery systems with high pressure injectors. This leads to great power for towing and climbing, but it also means that when you put your foot into it, your mileage drops, and fast. Every time you push the accelerator pedal toward the floor, it causes the injectors to put more fuel into the engine. The diesel fuel is ignited, causing increased exhaust flow, and the energy stored in that exhaust makes the turbocharger spin ever faster. The turbo literally forces more air into the engine, where it mixes with the fuel and burns. The more diesel fuel you call for with your right foot, the more air is needed. Without turbocharging the engine reaches it's limit of how much fuel it can use fairly quickly. With the turbo forcing additional into the engine however, the more fuel it can and does use. You get the benefit of dramatically increased power and torque, but mileage suffers along the way. The other thing that severely affects fuel mileage is how fast you drive. This is especially true in large pickup trucks, which are about as aerodynamic as a barn, door and all. Moving air behaves like a fluid, and air resistance increases geometrically, rather than mathematically, so that driving twice as fast requires using 4 times more power to overcome air resistance. Since pickups are not very aerodynamic and have a large surface area to push through the air, your speed effects fuel economy much more than it would if you were driving a small, aerodynamic car. So trim back your velocity on the freeway and you can gain up to a few MPG, depending on your vehicle. 1) You're driving a large vehicle with poor aerodynamics; slow down. 2) The more you put your foot into it, the more boost pressure you'll make and the more fuel you'll be able to burn. Why Does my Diesel Truck Get Poor Fuel Mileage? So, you've slowed down. Now What? 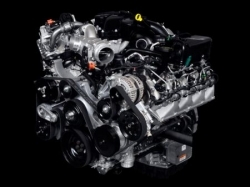 In order to discover what you can do to help raise your vehicle's mileage, there are a few things you need to know about how your diesel truck's engine works. Diesel engines like to make their torque down low and are very efficient when they are allowed to do so. Unfortunately they tend to be a bit dirty when they are under heavy load at low RPMs. In an effort to clean up the exhaust and comply with new EPA diesel emissions regulations, car companies have shifted the torque curve up higher in the engine's RPM range. They run cleaner, but because the torque production is delayed, they can't work as efficiently as possible. What happens? You guessed it; fuel mileage suffers. Other strategies used in an effort to comply with EPA regs include the use of diesel particulate filters, also known as DPFs. The job if these is to eliminate that black soot diesels are famous for, and they work pretty darn well for that. What they don't work so well for is maximizing fuel mileage. In fact they decrease fuel mileage in 2 ways. The first is that they restrict the exhaust flow, causing the engine to work harder and waste fuel. The second is that they clog up with soot, exacerbating the first problem and leading to the second. The second thing that DPFs do to negatively effect fuel economy is the process they use to clean the soot off the filter. The cleaning process is known as regeneration, and it's accomplished by making the engine run rich, which increases the exhaust gas temperature. Running rich means that there is more fuel in the air/fuel mixture than is optimum, so fuel is essentially being wasted. The quick and easy solution is to simply remove the darn thing altogether, and there are kits on the market to do just that. You get a quick increase in power, better throttle response, and wonder of wonders, better mileage too. The problem is that it is illegal to remove your DPF for on road use. If your truck is confined to romping in the dirt or working on the farm, sure, but the EPA will take a dim view of you using a DPF elimination kit for on highway use. The other problem with simply taking the DPF off your rig is that it will usually void your new car warranty. You may not care about that, but given that a new diesel pickup typically costs between $35,000 and $50,000 these days, most people are going to care weather their warranty is in effect or not. Check out these resources that will help you discover how to get your Dodge Cummins Diesel even more power and torque. You'll even get better mileage to boot! Check out this shootout that reveals what is the best aftermarket device you can add to your diesel truck to get even better fuel economy. What devices will help increase fuel mileage? 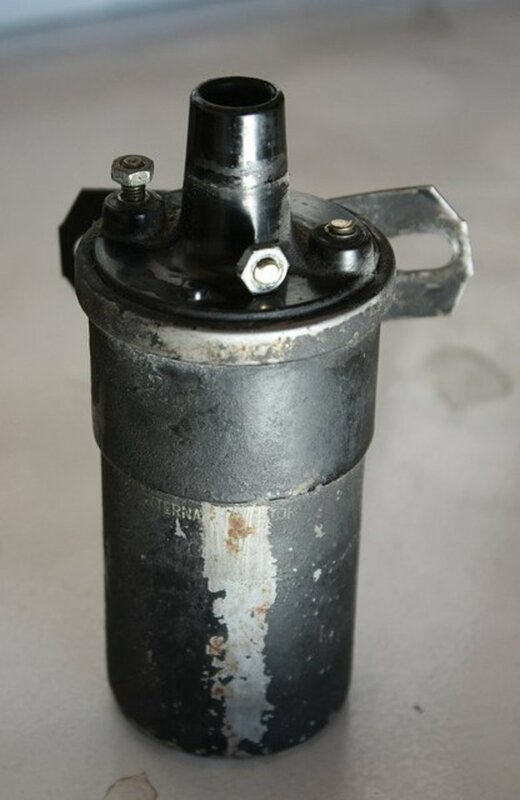 There are several very popular aftermarket devices for diesel pickups that can increase fuel mileage. As a bonus, they typically increase power, torque and driveability too. That accounts for their popularity. The free flow exhaust and intakes help get air into and out of the engine. This increase efficiency, leading to better mileage, more power, and quicker throttle response. These pieces tend to cause a noise increase too, so be prepared for it. Heck, you may even welcome a bit of chest thumping noise from your truck. An addition benefit from exhaust systems, aside from better mileage and increased HP, is lower exhaust gas temperatures and longer engine life. On newer diesels (2007 - present) the exhaust is from the diesel particulate filter (DPF) back, while older engines replace the entire exhaust, from the turbo outlet back. Many independent dyno tests have found that the DPF back exhaust systems are still very effective at increasing power, torque, and fuel mileage though. Performance programmers either replace or connect to your trucks electronics control module, the omnipotent master of your vehicle. In this position they have the ability to control fuel delivery, injector timing, boost pressure, the rev limiter, and the transmission. Obviously they can have a huge impact on fuel economy, not to mention the added power they bring. Some can increase HP and torque by hundreds! A custom program essentially takes the programmer a step farther to give you exactly what you want from your vehicle. It gives greater gains with some trucks than others. Which of these aftermarket fuel economy mods work the best, and which are the best bang for the buck? Discover the answers now at what is the best device for increasing diesel mileage? Here are some quick tips to save at the pump. Aerodynamics are a killer, fuel mileage wise. One trick is to block off part of your grill. You've seen 18 wheelers do that for years, and for them better mileage is more profit. 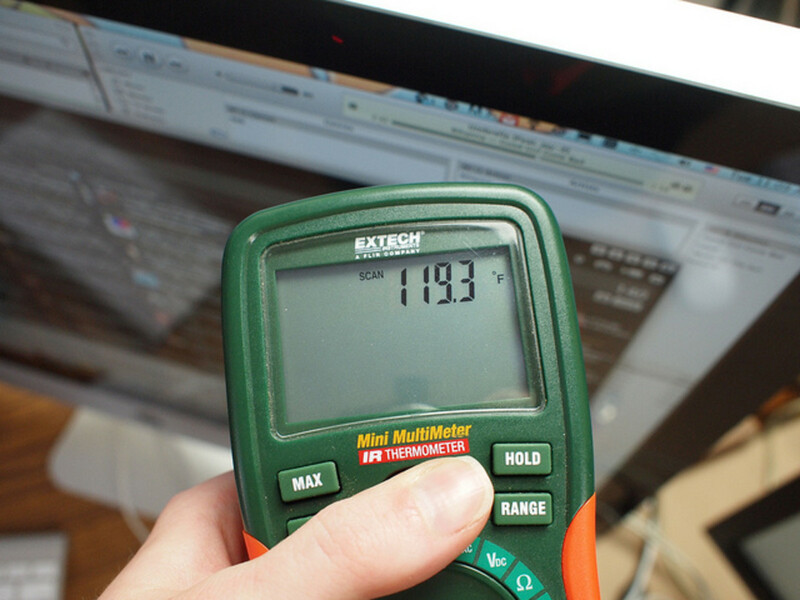 Be careful to not cover so much that your truck overheats or your A/C doesn't work well any more. Start at the top, because you'll get the most aerodynamic benefit from that. Another fuel saving tip for diesel trucks is to make sure your tires are aired up to the recommended pressures. It is even more important that with a car because the truck's heavier weight is more impacted by high rolling resistance of under inflated tires. Weight is the enemy to good fuel economy. If you have a toolbox or other stuff in the bed or behind the seat that you never use, take it out, you will see the difference at the pump. Regularly maintain your truck. Keep the oil changed regularly. Diesels are hard on oil, and you can sometimes see a mileage increase by switching to a good synthetic oil. Even if your mileage does not increase, you will increase the life of your engine. Another aero mod that can pay mileage dividends is to invest in a bed cover. 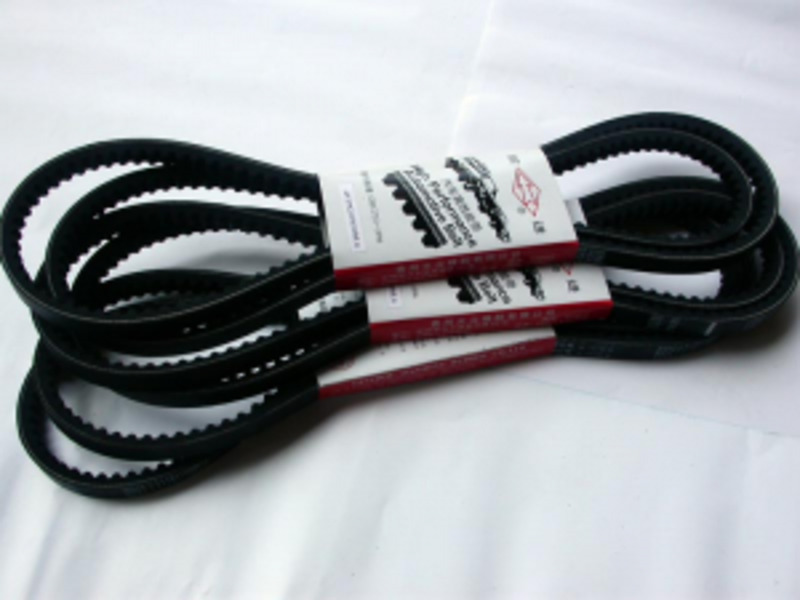 Okay, so that may cost you a few scheckles, but they are pretty inexpensive and will help you save fuel on the freeway. So, you've probably never regretted your decision to buy a Dodge Ram with a Cummins Turbo Diesel power plant. You love the massive torque and the ability to easily add more with some simple modifications. What's not to like about that? DId you ever wonder why your truck gets so much better mileage than an almost identical rig that has a gas engine? There are some simple answers to the fuel economy question. 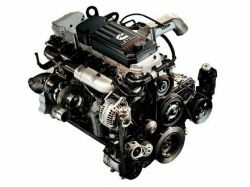 One of the main things is that a diesel engine is missing one of the things that a gas engine has that gets in the way of making more power and getting better fuel economy; the throttle. A diesel has no throttle. In your diesel truck pressing down on the accelerator just tells the injectors to put in more fuel. The increased fuel flow makes more power and causes the engine to draw in more air and spool up the turbo to force in even more. A gasoline engine actually has a plate in the intake tract that restricts the amount of air entering the engine as a way of controlling power output and engine speed. The throttle plate is a major source of pumping losses in the gasoline engine and one of the primary causes of power loss and decreased fuel mileage. That is one reason why some newer gas engines are switching to direct injection systems like diesel engines use. With direct injection systems there is no throttle. The fuel is injected directly into the combustion chamber, just as with a diesel engine. More HP, Torque, and Fuel Mileage Too! For 2011, both the Ford Power Stroke and the Chevy/GMC Duramax Diesels have been revamped, adding to their already prodigious torque and HP ratings. They have also moved the torque curves lower in the RPM range, something that should be beneficial both for towing and fuel mileage. So, just what are the new HP and torque ratings for the new mills? The Ford Powerstroke was no little sister last year, but sometimes too much is never enough, so the blue oval boys have seen fit to add a few ft-lbs of torque, just to be safe. How much torque does the monster have now? How about 735ft-lbs, generated at only 1,600 rpm? That sounds like it should do the trick, and be about enough twist for anyone, but if it isn't then you can take a trip over to your local Chevy dealer for a peek at the Duramax. Why, when the Ford offers so much torque at such a low rpm? Well, because the Chevy gives you even more, of course. I can see Gale Banks screaming now, as he watches his business of upgrading diesels go out the window. The new 2011 Duramax now delivers an astounding 765 pond feet! The new Ford Super Duty with the Powerstroke 6.7 liter diesel uses a 5 gallon tank of urea. The urea is injected to improve emissions. Mercedes diesels use a similar system. If your urea tank gets low, you'll get a warning. Don't let it run out, or your truck will default into limp mode, fit only to get you to service. The tank should last about 7,000 miles. Expect to pay somewhere around $12.50 to refill the urea tank. Two Steps Forward, One Step Back?? Many people love to run biodiesel. There are many reasons for this, not the least of which is it's 50% price break over traditional diesel fuel, for the stuff refined from old restaurant fryer grease. The other big attraction for this kind of Dr. Diesel's gogo juice is that it is better for the environment. Pure biodiesel (also known as B100) plain reduces emissions, except for NOX, and these only increase slightly. The rest of the noxious gasses rolling out of that 4" fatty under your rear bumper are cleaner for drivers using biodiesel. For example, you'll emit 67 percent fewer unburned hydrocarbons and 48 percent less carbon monoxide if you're pouring McDonald's leftovers into your rig, rather than dead dinosaurs. That is something you can be proud of.... unless of course, you can't use the stuff. Why, you might be asking, would I not be able to use a cleaner burning fuel in my new diesel engine? Ever hear of the law of unintended consequences? Well, it is just what it sounds like, and can happen all too often when the government gets involved in trying to fix things, in this case, ironically enough, the air quality. To be fair, it is not all the Fed's fault on this one. If you've been reading from the top, you'll be aware that most new diesels have an emissions control device known as a Diesel Particulate Filter, or DPF. It is the way this filter is cleaned that gives rise to the biodiesel difficulties. What vehicles should not use B100 anymore? Well, if you have a Jeep CRD, Ford Power Stroke, Dodge Rams with the Cummins 6.7 and Chevy Duramax you'll need to stick to dead dino based diesel fuel, or risk ruining your DPF and associated equipment.